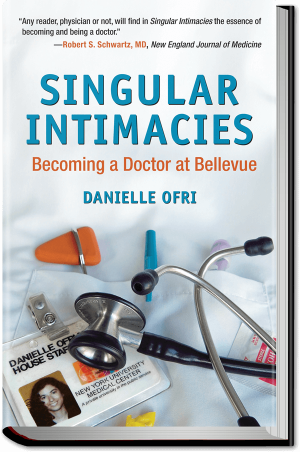 Dr. Danielle Ofri, PhD, MD, a Kips Bay resident and Bellevue Hospital doctor who’s authored four nonfiction books, has just released her fifth, on the need for better communication between patient and doctor. 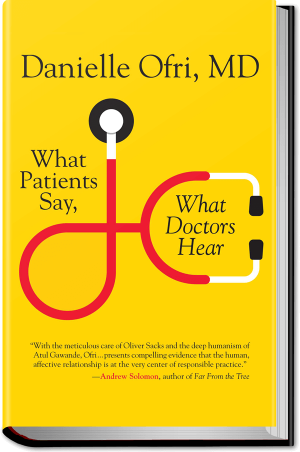 The book was inspired by a number of her own patients’ inability to tell someone else what their concerns are coupled with doctors’ habits of not listening as carefully as they should. She gave one example of how after a while she began tuning out a patient “who was very demanding of my time,” Ofri said. He’d annoy her by leaving multiple, angry messages on her answering machine demanding to see her right away. His habit of panicking and the constant messages wore on Ofri, and while she knew he had a bad heart, she was surprised when one day he actually collapsed in her office. “He was nervous about his heart and the terror of dying animated him,” she said. “I’m hearing obnoxious and angry demands and was not recognizing his fear of death,” Ofri admitted. This example is mentioned in the book, What Patients Say; What Doctors Hear ($25, $24 as an e-book). Ofri, who’s worked at Bellevue for 20 years, said often patients are too embarrassed to discuss their deeper concerns with their doctor like the real reasons they’re not taking their prescribed medication. Affordability is often, though not always a factor. Ofri also didn’t know the real reasons behind a patient’s vague complaints of body aches until the woman finally asked, as she was turning the doorknob to leave, if the pain in certain body parts could have anything to do with the fact that those areas were where her boyfriend had shot her with a dart gun. “If we are not seeing it it’s because we’re not asking,” Ofri said, although she added that now at her office, questions such as “Has anyone ever harmed you?” are now included on forms patients fill out before appointments, right along with what medications they take and whether they’ve had a mammogram. Questions are now also asked about depression. An obstacle to this method however comes from the healthcare industry itself, with doctors being compensated far more for procedures versus talking with a patient, said Ofri. “But if you want to control your diabetes you have to have a conversation.” She also said doctors need to get past an instinct to lecture patients for not taking their meds, and nagging them about what could happen, before they’ve heard the patients’ reasons for not doing it. Another argument for better communication, she said, was that it reduced the risk of medical errors and lawsuits over malpractice. As for who she wrote the book for: patients or doctors, Ofri said it was intended for both. Ofri personally sees around 20 patients a day when working full day shifts, many of whom don’t speak English and have chronic illnesses.